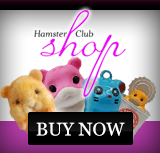 Hamster Club :: Hamster Story by Angelito Astrera Zarraga Jr.
Hamster Story by Angelito Astrera Zarraga Jr. Author: Angelito Astrera Zarraga Jr.
Hi to all Hamster lovers! My name is JR. I would like to share my experience about my hamsters. Since I was a kid, I liked to take care of pets. I had 4 dogs, 6 cats, 16 pigeons, 12 rabbits, 18 guinea pigs, 400+ white mice, and around 350+ Syrian hamsters. All of my pets situated in our own backyard. The rabbits, guinea pigs, white mice and hamsters, I bought them from a local pet shop near our village. I started having a pair for each of them. I didn't know that they will multiply that fast in a span of a year and a half. At first I only wanted to have them as pets but I turned out to be a breeder myself. My best favorite are my hamsters and my guinea pigs. They were all in a customized wooden cage with screen walls made by myself, and located in my bedroom. I liked to talk to them a lot. I liked my hamsters because, it's fun playing with them, and it's so cute when you look at them while eating. I also liked my guinea pigs, especially when they knew that I was home from school. They used to make this whistling noise like talking to me and asking for food. I still remember those times when I used to stare at them in the morning as well as at night. I always forgot all my worries back then. Unfortunately, one day, my mum told me that we needed to vacate our house and move to a smaller one. They asked me if I can sell all of my pets because I didn't have a place for them in our new house. I cried a lot. I really wanted to have all of them with me. I was only 14 at that time. The only solution that I had in mind was to find someone who can take care of all of them. I browsed my friends list and asked all of my friends if they could keep some of my pets. They all agreed, so I went to our furniture shop and made wooden cages for all of them. It turns out fine afterwards. But I still couldn't live without a pet. I kept a pair of my hamsters in a small cage under my bed without informing my mum. I named them Juris and Bamboo. Now that I'm already 29, I still have pets. I have a dog named Apple. My sister has 3 cats named Miur, Gaspy, and Cacai. And I'm still having hamsters again. I have 9 pairs of Russian hamsters now. I also still have the urge to breed them. I decided to have hamsters again to teach my kid how to be a responsible person. By the way I already have a 4 year old kid. At first my wife and my son freaked out when I brought-in these furry cuteness inside our house. For the record, I still kept them inside our bedroom. I have had them for about 3 months already. Now, my son knows when to feed them, how to handle them and when he can play with them. Luckily, none of them are biters because I bought them at the age of 3 weeks. 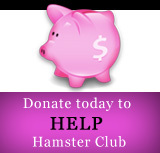 And take note, I bought them from a friend that I entrusted some of my hamsters before. Good thing he still has a passion for breeding. He told me that breeding Russian hamsters is different from breeding Syrian hamsters. I think he's right. He's actually giving me tips on how to deal with them. Actually, after I browsed for some information from the internet, I found out that there's really a big difference in having Russian hamsters. That is also the moment when I visited your site. It gave me a lot of information about hammies.